” Navratri ” or “Navaratri ” literally means “nine nights.” Navratri is celebrated twice a year, once at the beginning of the New Samvatsar (Hindu New year) in Summers and again at the onset of winter. Navratri or Navratra are therefore known as Chaitra Navratra and Shaardeya Navratra on the basis of their occurrence. The Shrimad-devi Bhagwat and Shri Durgasaptshati mentions the significance of puja done during the Navratri. Devi Mahaatmya and other texts invoking Goddess Durga are cited during the period of nine days. During Navaratri, we invoke the energy aspect of God in the form of universal mother Maa Durga, which literally means the remover of miseries of life. Maya is also known as Shakti as she is the source of all energies in the world. It is this energy, which helps God to proceed with the work of creation, preservation and destruction. 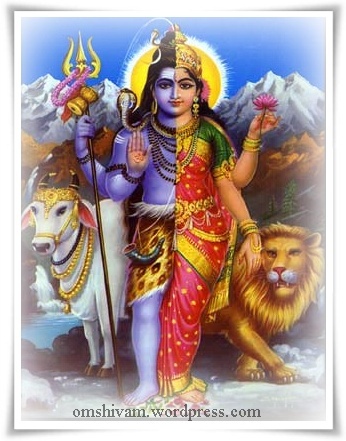 In Shiv Puraan, Lord Shiva says that he is Shav without the powers of Shakti ( the ultimate source of energy). In other words, we can say that even God is motionless, absolutely changeless without the divine support of Maa Durga.Actually Shiva & shakti are one. In Bhagwat puraan, Lord Vishnu says that he is incomplete without his better half. He blesses those who worship his wife Maa Mahalaxmi. It is for this reason the world says Radhey-Krishna and Sita-Raam and not Raam-Sita or Krishna – Radhey. The Ancient worship of Mother Goddess can be easily dated back to Indus Valley Period wherein the statue of Mother Goddess clearly mentions the presence of her supremacy. This is a true example of importance given to females in Bhartiya (Indian) culture and religion. Durga or the destructive aspect of the divine mother is worshipped during the first three nights. On the succeeding three knights, her protective aspect of Lakshmi and on the last three nights, her knowledge aspect or Saraswati are worshipped. The significance of this order is that first durga destroys all the evil propensities lurking in the minds of her devotees; then lakshmi implants divine qualities in the devotees’ minds and finally saraswati bestows true knowledge to her devotees. The tenth day known as Vijaya Dasami, commemorates the victory of knowledge over ignorance of goodness over evil. On the first day of the Navaratras, ‘Kalash Shthaapna. is done in the puja room.These initial days are dedicated to Durga Maa, the Goddess of power and energy. Her various manifestations, Kumari, Parvati and Kali are all worshipped during these days. They represent the three different classes of womanhood that include the child, the young girl and the mature woman. 4th – 6th day of Navratri During these days, Lakshmi Maa, the Goddess of peace and prosperity is worshipped. On the fifth day which is known as Lalita Panchami, it is traditional, to gather and display all literature available in the house, light a lamp or ‘diya’ to invoke Saraswati Maa, the Goddess of knowledge and art. The festival of Navratri culminates in Mahanavami. On this day Kanya Puja is performed. Nine young girls representing the nine forms of Goddess Durga are worshiped. Their feets are washed as a mark of respect for the Goddess and then they are offered sweets prasadam . Then after new clothes or gifts by the worshiper. This ritual is performed in most parts of the country.